Spark notes: A useful resource looking at Chapter summaries and analysis. Characters themes, quotes etc. Grade savers: A useful resource looking at Chapter summaries and analysis. Characters themes, quotes etc. 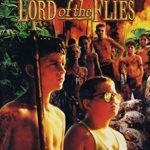 David Wilson, D 2010, ‘A Study of ‘Game Metaphor’ in Golding’s Lord of the Flies’, IUP Journal of English Studies, pp. 54-57.